Playing practical jokes on April 1 is a tradition in Italy in the same way as many other countries, although in Italy the day is called Pesce d’Aprile – April’s Fish – rather than April Fools’ Day. It is said to have became popular in Italy between 1860 and 1880, especially in Genoa, where families in the wealthier social circles embraced the idea, already popular in France, of marking the day by playing tricks on one another. 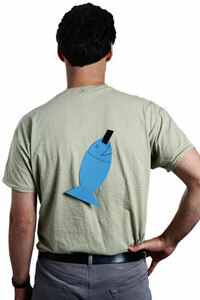 The most simple trick involves sticking a cut-out picture of a fish on the back of an unsuspecting ‘victim’ and watching how long it takes for him or her to discover he had been pranked but over the years there have been many much more elaborate tricks played. Often these have involved spoof announcements or false stories in the newspapers or on TV or radio shows, aimed at embarrassing large numbers of gullible readers, viewers or listeners. One of the first such large-scale hoaxes took place in 1878, when the newspaper Gazzetta d’Italia announced the cremation of an Indian Maharaja was to take place in Florence, attracting a large crowd to Parco delle Cascine where a pyre had been built in preparation for a traditional Hindu funeral. At the moment the hearse was due to arrive, groups of youngsters dressed as fishermen emerged from bushes and ran around the crowd shouting ‘Pesce d’Aprile’. 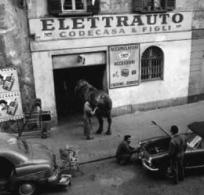 Another involved a spoof story that horses had to be equipped with tail lights, run by the Milan newspaper Le Notte in 1961, which prompted many Milanese to take their animals to garages for the lights to be fitted, only to be told by amused mechanics that they had been fooled. And in 1993, posters appeared on the streets of Milan and Turin announcing a new road tax to be paid according to the bodyweight of citizens. Again a newspaper was behind the joke. The oldest recorded mass deception is said to have taken place in Bologna in the 13th century when the academic Buoncompagno claimed to have invented a flying machine which he promised to demonstrate on April 1 by making a flight across the city. Most of the city’s population gathered to witness this phenomenon, but of course it never took place. The origins of the tradition have been the subject of numerous theories. Some link it to the Roman festival of Hilaria, which celebrated the coming of spring and ran until roughly April 1. Games and amusements took place, including masquerades, when people would don disguises meant to trick friends into believing they were someone else. Others suggest it relates to the adoption of the Gregorian calendar in 1582, which moved a traditional New Year celebration of exchanging gifts from April 1 to January 1. In those days, of course, communications were somewhat slower and less reliable than today and many people continued to give presents on April 1. The story goes that those in the know would denounce those ignorant of the change as ‘April fools’ and make their point by handing over not a gift but an empty box. Likewise, there are many possible explanations for how the Italians (and the French) link the day to fish. Some say it is linked to the astrological sign Pisces, the time period for which ends on March 20, others that the origin is in a prank played by Cleopatra on her Roman lover, Mark Antony, on an April 1 fishing trip. The story goes that, so as to create the impression that he was an expert fisherman, Mark Antony instructed his slaves to dive beneath their boat and attach fish to the end of his line, making it appear he had landed a large catch. But Cleopatra rumbled his deception. 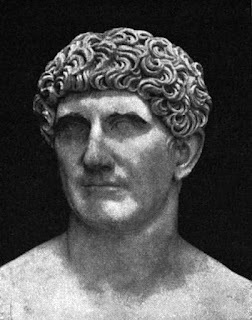 She challenged him to return to the same spot the following day to prove it was no fluke, but only after first instructing the slaves to attach a dead fish to his line, much to Mark Antony’s puzzlement and her amusement. Another explanation is that the fish connection goes back to the Blessed Bernard of San Genesio, Patriarch of Aquileia in the 14th century, who saved the life of Pope Clement VI after he choked on a herring bone on April 1. In southern Italy, the word for dried cod fish – baccalà – is sometimes used in slang to describe a fool or an idiot, and supposedly used to be aimed in particular at fishermen who took to the sea in early April and returned to harbour empty-handed, not realising that it was too soon in the season for the fish to have arrived in the shallow waters offshore. 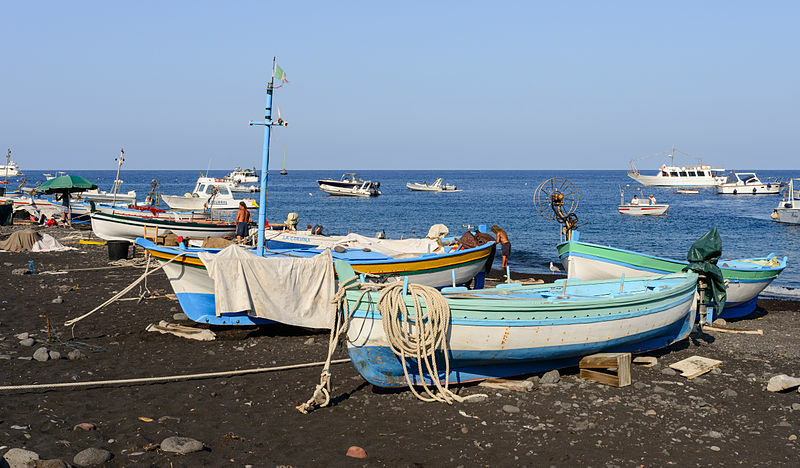 Italians consume more fish per capita than most Europeans, which means that, though in decline, the fishing industry remains an important part of the country's economy. The size of the total catch landed in Italian waters has dropped by more than 40 per cent in the last decade yet still added up to 191,700 tonnes in 2015. Of the national fleet of more than 12,000 fishing vessels, almost three quarters are small boats used to fish the waters close to the shore. Fishing takes place almost everywhere along Italy's 9,136km (5,677 miles) of coastline. The boats in the picture are on the island of Stromboli, off the north coast of Sicily in the Tyrrhenian Sea. The Parco delle Cascine (Cascine Park) is a monumental and historical park in the city of Florence, covering an area of 160 hectares (395 acres) in a long and narrow strip along the north bank of the Arno river, extending from the centre of Florence in a westerly direction until the point where the Mugnone river flows into the Arno. It was built originally as a farming and hunting estate for the city's ruling Medici family in the 16th century.